XZ320D XCMG horizontal directional driller equipment possess compact, high performance, full-featured features. It takes the gear rack pushing&pulling. Its main performance parameters and control technology has reached the international advanced level. 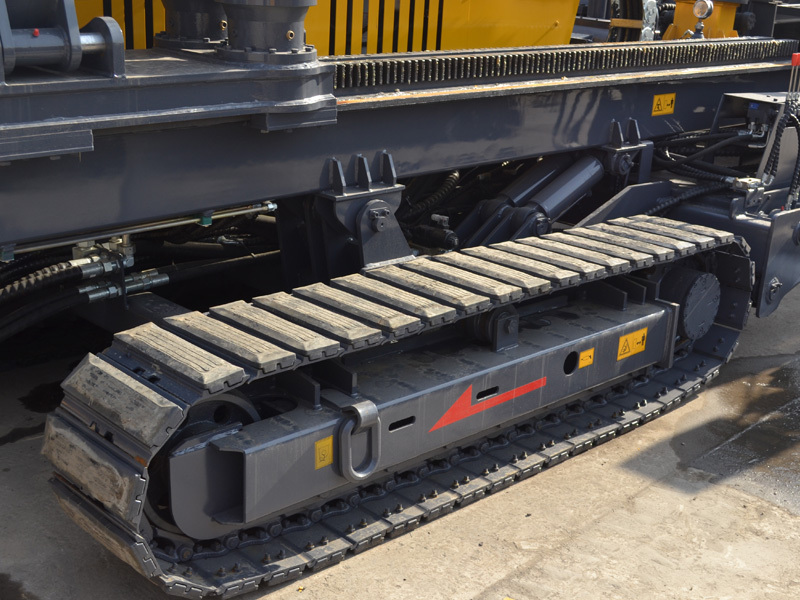 Its hydraulic system, power system, walking system and other major components are selected international first-class brands, with good performance, good reliability advantages. 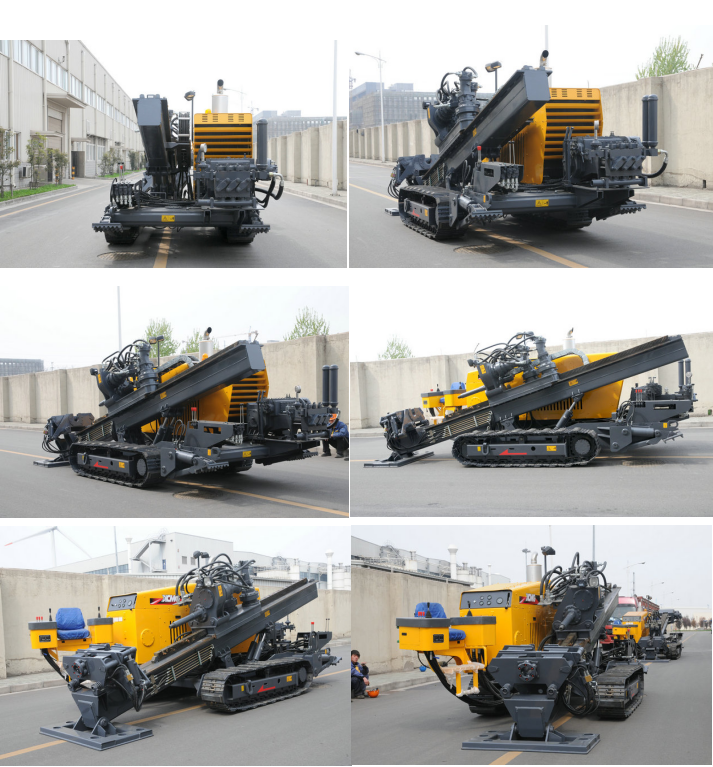 The XCMG horizontal directional drilling equipment achieve pushing&pulling by rack and pinion. XCMG's patented power head and vise double floating technology, greatly reducing the operator's operation difficulty. And the effective protection of the drill pipe thread, make drill pipe life increased by 30%; four motor drive to achieve a large torque rotation and large cylinder fastening and rotation to ensure that the drill shackle flexible and convenient. 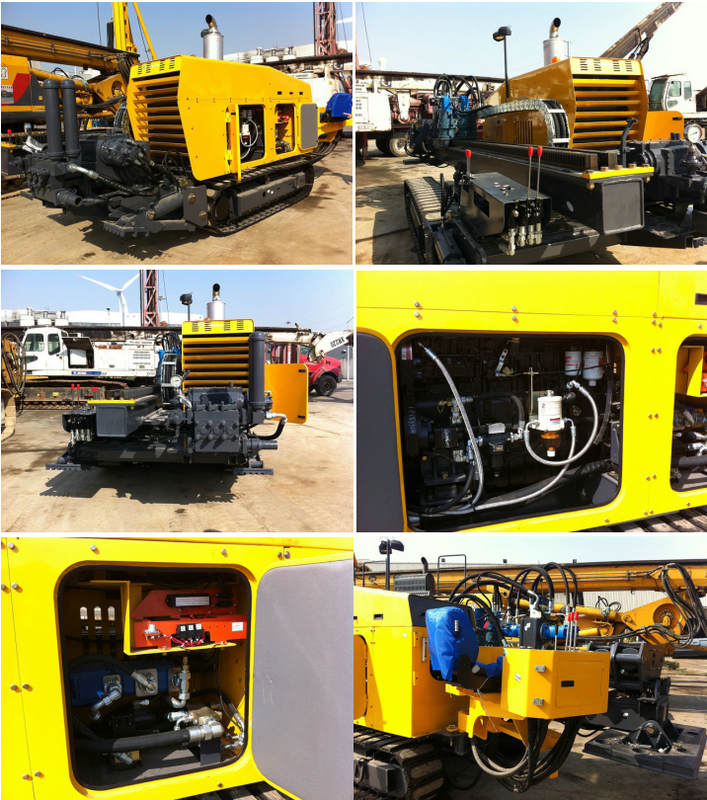 The main hydraulic components (pumps, valves, motors, cylinders) are used international first-class brands with good performance and high reliability;The hydraulic system adopts the multi-pump coordination to complete the whole machine action, and reasonably matches the engine power; the power head rotation and the push-pull two-speed control can improve the construction efficiency. 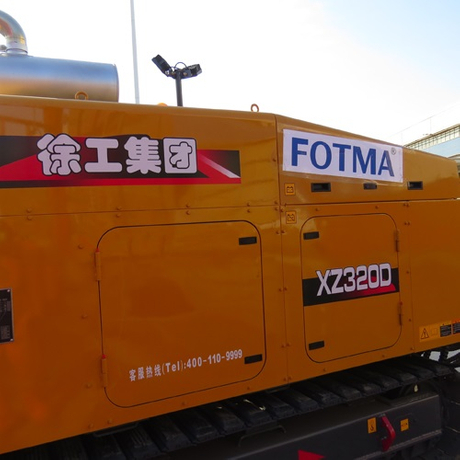 Push-pull two-speed control can improve construction efficiency. Hydraulic oil tank volume is 230L. 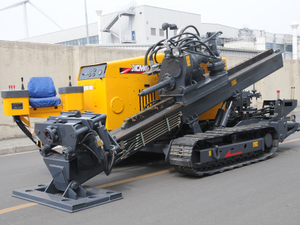 XZ320D XCMG horizontal directional drilling equipment adopts high-quality steel track (with rubber plate), can adapt to different venues,with high reliability; frog-leg structure and large fuel tank support are with good stability characteristics; large torque walking reducer with superior performance makes walking speed reach 2.8km / h.
XZ320D XCMG horizontal directional drilling equipment equipped with Hengyang or Leike 320L / min large flow mud pump, to provide a strong and powerful mud flow. 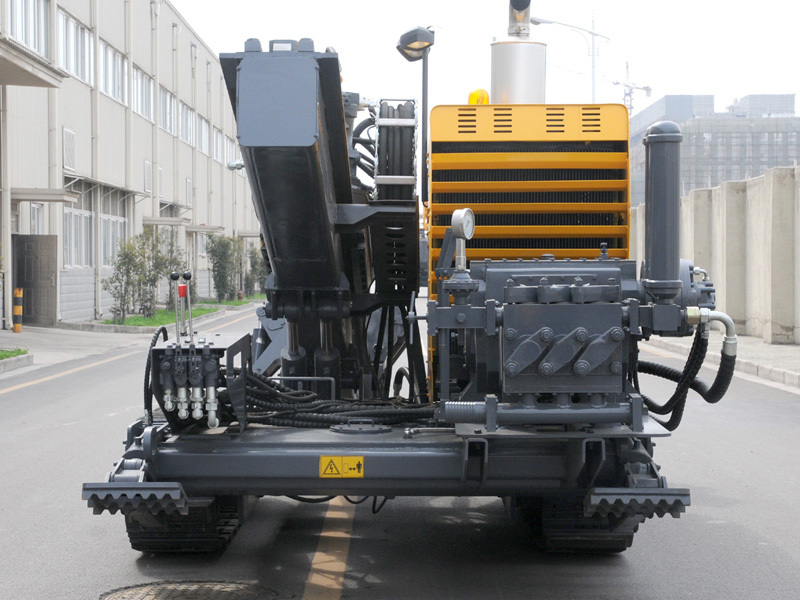 Hengyang or Leike 320L / min high-flow mud pump ensures smooth and safe operating. 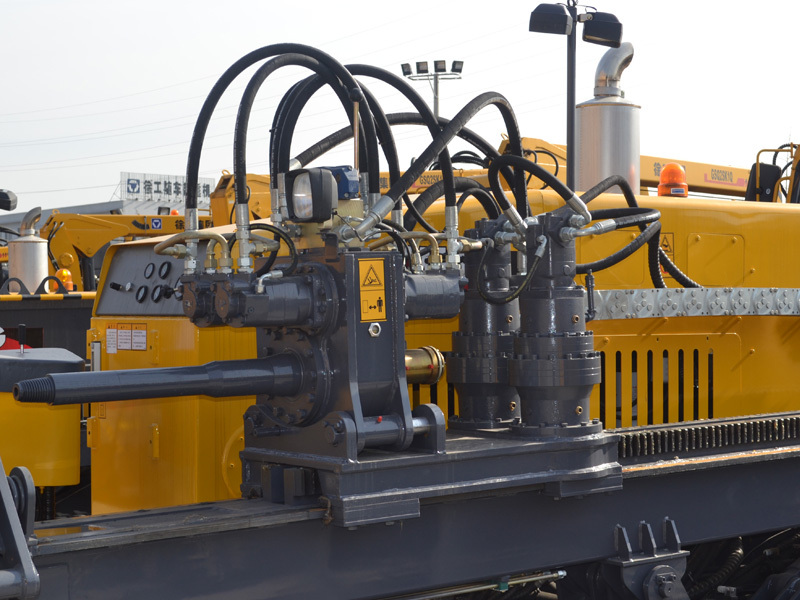 Mud pump system equipped with manual pressure relief device can effectively avoid the shackle during the phenomenon of mud jet; also available in winter with the construction of mud antifreeze device, mud cleaning devices and slurry valve to improve the construction of the host convenience. The operator's comfort and the rational layout of the instrument are fully considered during the construction process. The cab and the air-conditioner can reduce the labor intensity and improve the work efficiency. 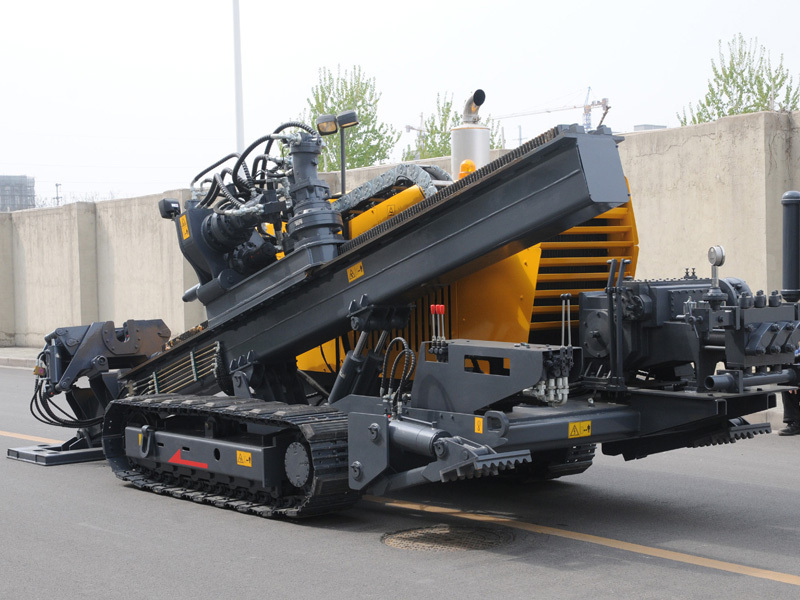 Semi-automatic auxiliary drill pipe handling equipment or automatic drill pipe handling equipment selection can improve work efficiency and reduce labor intensity. 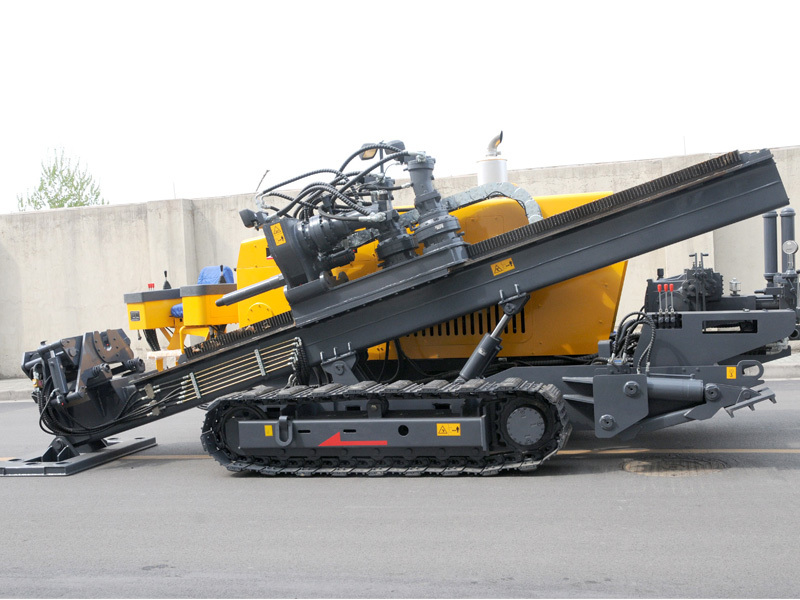 Fully automatic drill rod handling device can be equipped with 27 ¢ 73 monolithic drill pipe. Automatic anchoring device matching, improve the degree of automation, reduce labor intensity. As technology advances, we are unable to effectively notify you of changes to our products.